Coventry-based antimicrobial additives business BioCote has invested over £600,000 in larger headquarters and a new laboratory, and has increased staff numbers. The move will enable the company to meet rising demand for its antimicrobial solutions, which are integrated into products to make them easier to keep hygienically clean and less likely to cause cross-contamination. BioCote, which celebrates its 25th anniversary this year, has achieved a 15 per cent increase in revenue over the last year, with customer numbers on the rise. An increased focus on cleanliness and infection control in the UK and overseas means a growing number of companies are using BioCote’s technology. Its antimicrobial additives are integrated into products during manufacturing to provide permanent protection against microbes such as bacteria, fungi and viruses, which can cause odours, staining and material degradation. Additives can be manufactured into plastics, polymers, paints, coatings, textiles and ceramics, and are used across a wide range of sectors, including healthcare, education, construction, food, and home and leisure. Sustained growth has led BioCote to improve and expand its facilities. 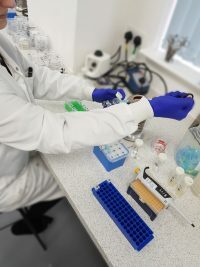 It has invested in larger, purpose-built headquarters, comprising an office complex to house its customer support team and a laboratory that includes the latest microbiology testing equipment to test and certify the antimicrobial properties of its customers’ products. The facility also includes a sterile packing area and warehouse. The company’s growth has also created jobs in the local area, with employee numbers rising by 25 per cent over the last year, and further increases expected over the next two years. The company is currently recruiting for technical, sales and administration roles. Sean Reid, managing director of BioCote, said: “Our move to a new business facility in Coventry reinforces our investment in, and commitment to, the local area, which will continue with the creation of more jobs in the future. “Over the past 25 years, BioCote has grown into a well-established market-leader in integrated antimicrobial technology. Our knowledge of microbiology, materials chemistry and global biocidal regulations has kept us at the forefront of the industry. We take an open, consultative partnership approach to antimicrobial product integration, and are trusted by leading brands worldwide. BioCote is a market-leading antimicrobial additives provider. 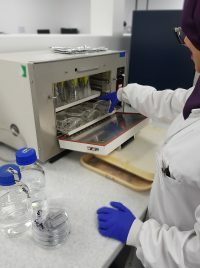 Its trademark is globally recognised as a sign of antimicrobial quality, and independent testing demonstrates that protected materials carrying this mark are performing to non-negotiable standards. BioCote is the only antimicrobial additives supplier to have its additives HACCP International certified as food-safe and suitable for addition to food contact products. BioCote is based in Prologis Park, Coventry. For further information, please visit www.biocote.com or call 02477 712489. Issued on behalf of BioCote by Proximity Public Relations. For further information, please contact Ruth Barrows: ruth@proximitypr.co.uk / 07767 813086.